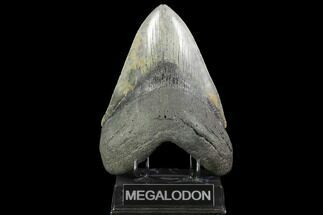 This is an absolutely massive, 6.18" long Megalodon tooth collected from a river in Georgia. 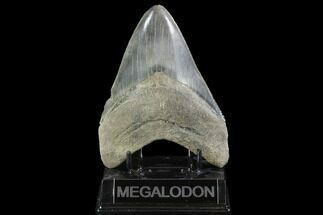 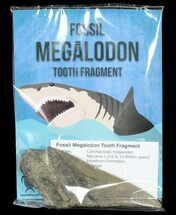 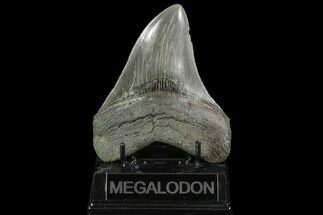 Megalodon teeth over 6" long are very rare, you will find hundreds of 5 inch teeth for every 6 inch tooth. 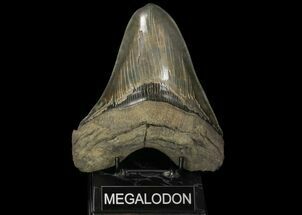 A tooth this size would have come from a large adult, mega-shark in the 50+ foot size range. 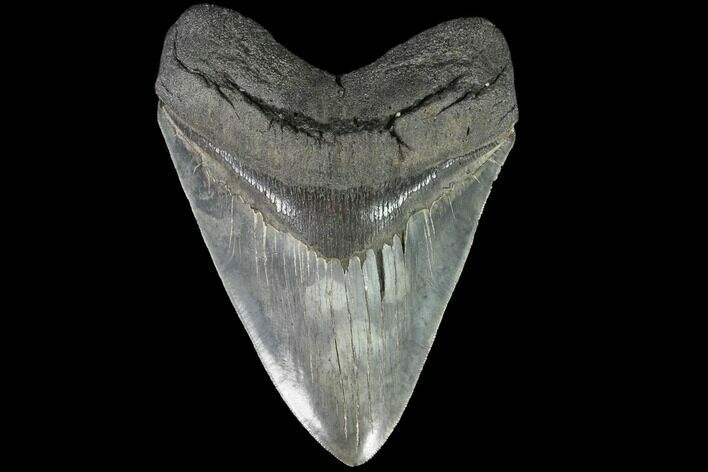 Not only is this tooth huge, but the it's beautifully preserved with nice enamel, sharp serrations and a well preserved root. 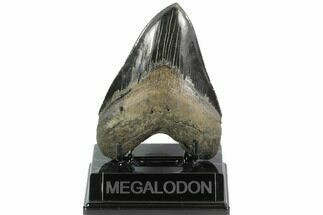 Only some slight feeding wear to the tip. 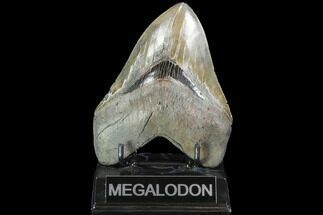 It's very rare to get 6 inch Megalodon teeth as nice as this one. 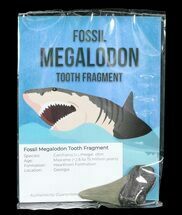 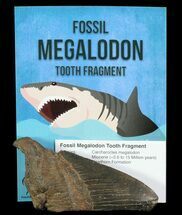 Like basically all the Megalodon teeth we sell there is no repair or restoration.